Who's happy it's summer? I can assure you, 99.99% of the people in the Midwest sure are! It means getting back outside after a long winter, opening up resorts, golfing, and getting back to lake cabins. It's a big deal up here when the snow melts and people can get outside and back on the water. Whether that's for fishing, relaxing, or being pulled behind a boat. We can also finally enjoy our yards again- playing yard games, hosting outdoor BBQs, and just relaxing in the sun. What do the activities I mentioned have in common? You can incorporate paracord in those outdoor sports. Whether that be for making repairing, improvements, or a DIY project, paracord can help in tons of outside activities. Maybe you have the same sporting item as someone else and you want to personalize yours - paracord can help. Or maybe you want to make your basketball net glow in the dark - paracord can help. Or if your strap for wakeboarding broke - paracord to the rescue! If you have kids or if you like doing different ways of getting exercise a jump rope is for you! They're easy to make, super strong, durable, and personal. All you need for this is 2 different colors of Para-Max. 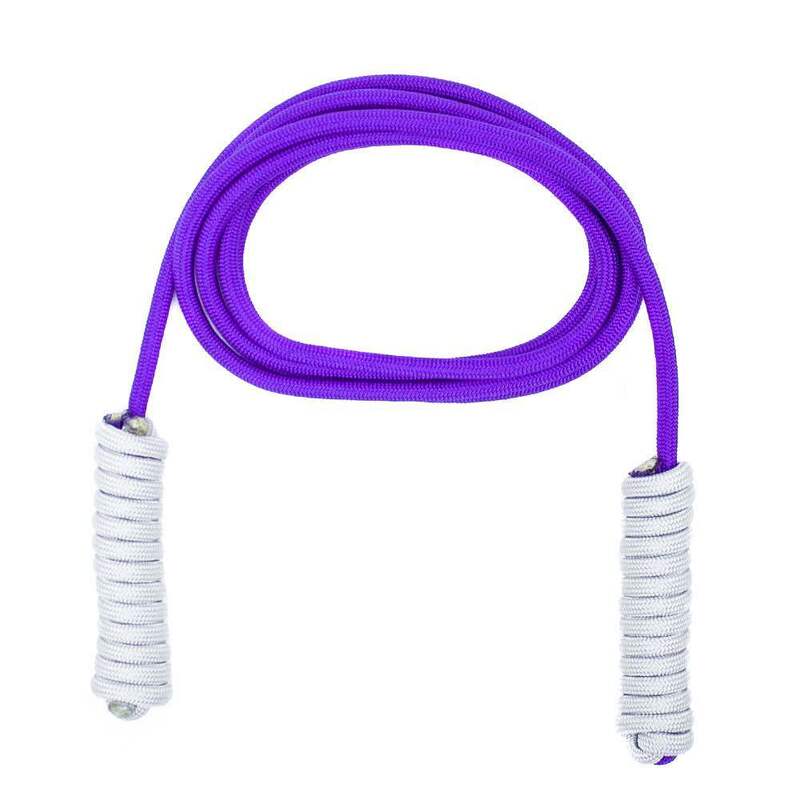 These jump ropes are also a dual purpose...since they're made out of Para-Max, they have a strength rating of 1,200lbs! So if you need extra strong rope - grab your jump rope! P.S. you could also make two and double dutch! There are many net style projects you can make with paracord - dirty clothes bag, safety vest, fishing... but I think this will be the biggest one. You can make your own paracord volleyball or bad mitten net! You could make it glow in the dark, rainbow, a color gradient or any colors you want. There are so many fun options that if you use these nets a lot, this big project would be well worth it! All you need is paracord, time & two poles, pipes, or perfectly positioned trees. A paracord basketball net is another net style project, but much smaller than the previous example. However, this one is just as awesome if you have a little time to knot. All you need is paracord and a hoop to use while making the net. You'll want to use 550 paracord as it's resistant to the elements. OutdoorBunker uses our paracord to make these basketball nets, and they have tons of different color choices. If you like to go on hikes or long walks, a paracord water bottle holder or sling is perfect for you. You won't want to be holding your water bottle the entire time, plus if something bad were to happen you now have tons of paracord at your disposal for whatever may arise. Try this tutorial for your own paracord water bottle sling. If you're like most Midwesterners you love being on the water and doing water sports. You can personalize your straps, by using a unique color, doing a weave, or even for repairs. Whether its for a surf board ankle strap, parasailing cords, or knee boarding, water skiing, and wakeboarding rope, paracord can surely withstand whatever you may throw at it. There are many uses for paracord while fishing! You can make a fishing net, use the inner strand for fishing line if needed, make your own lure, and fishing stringers. For more details on these, check out our past blog on 4 ways to fish with paracord. What do you use paracord for in the outdoors?